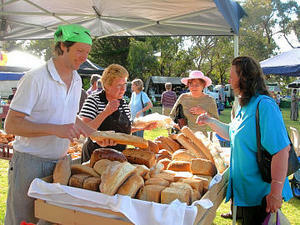 The Pearcedale Market is held on the First Saturday of each month from 8am to 12.00 noon. The market features fresh vegetables, grass-fed beef and lamb, chicken, crusty bread, cakes and croissants, eggs and hydroponic tomatoes. If you are feeling tense why not visit the Soul Love stall for a refreshing massage or Reiki session? The Pearcedale township and the recreation reserve. Disabled access: Yes Ask the attendant at the gate. 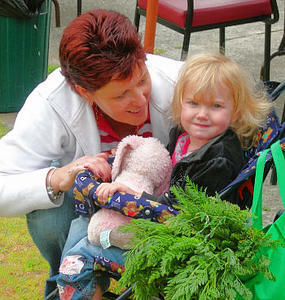 Children welcome: Yes It is a family event with all welcome. Pets welcome: Yes Dogs on leads please. Eco friendly: Yes Stock up on fresh locally produced produce. Smoking: Yes It is an open air event and smoking is acceptable around the espresso coffee stall.